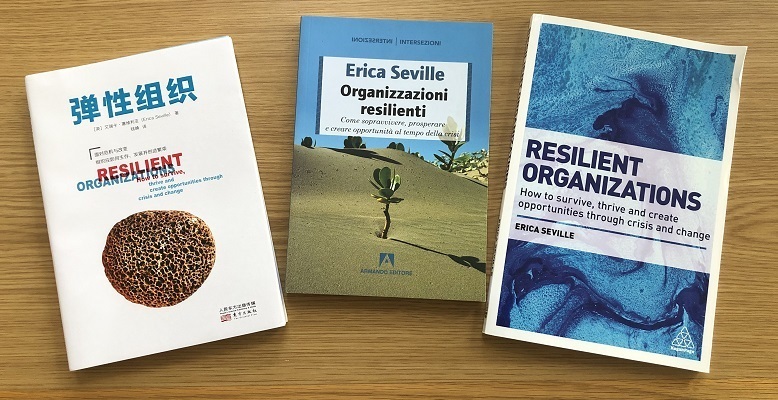 Erica Seville's book, Resilient Organisations: How to survive, thrive and create opportunities through crisis and change is now available in an Italian and Chinese version. The Italian version is Organizzazioni resilienti: Come sopravvivere, propserare e creare opportunità al tempo della crisi (Italian Edition), published by Armando Editore and available to purchase through Amazon. The Chinese version is 弹性组织: how to survive, thrive and create opportunities through crisis and change/(英)艾瑞卡·塞维利亚(Erica Seville), 钱峰, published by the People’s Oriental Publishing and Media; The Oriental Press. View publication details. And for those wanting to purchase the English version, for New Zealand purchases it can be purchased online through our website or for international purchases via Amazon.